Megan, Weston and I are back from Maine, where we spent Christmas with Megan's family. It is really cold there, and the wind was whipping on this evening dropping the windchill below zero. Your artistry is simply Wonderful. You've breathed such light into winter's neutrals - exquisite. 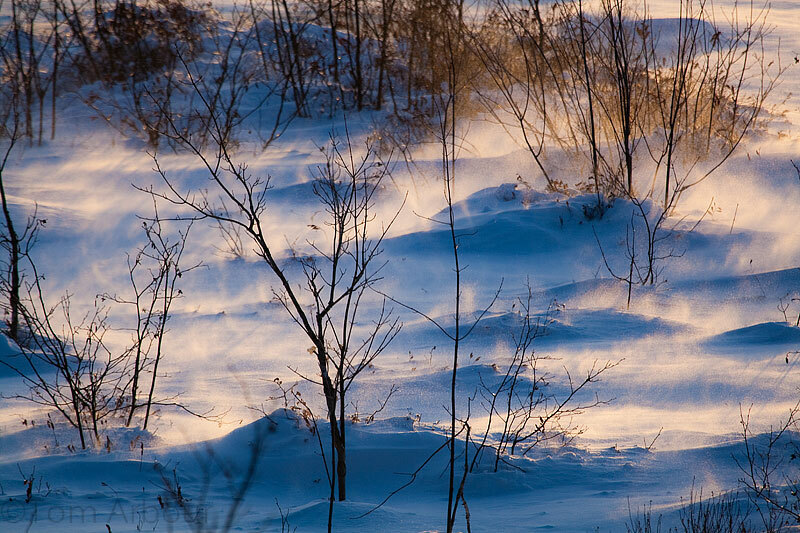 It's hard to imagine the cold with the beautiful warm tones to the drifting snow. Beautifully captured. Breathtaking photo and mystical too. Nice site you have!